Any content marketer worth their salt should have a decent understanding of search engine optimisation. Even in this new age of content marketing, SEO is one of the best vehicles of growth that your content has – because without thorough keyword research, the most well-written content in the world could end up suffering from low visibility and therefore have few people will see it. It all depends on the size of your business, too. SEO is super-competitive, which means that those with the biggest budgets and the best-known brands can often claim the first-choice keywords for themselves. These are the most relevant keywords, with the highest search volumes, so it makes sense to optimise content around those keywords and thereby really give your audience the content they’re looking for. Unfortunately, this also means that the smaller guys just can’t compete for these short-tail keywords. For example, through their reputation alone Starbucks is bound to rank higher than Average Joe’s Coffee Shop. 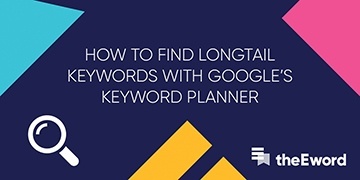 If your business is in its infancy, or you’re in a niche industry that rarely garners much search volume, there is something that you can do: ace longtail keyword research. If you get this right, you will stand a far greater chance of ranking highly for your key services. Longtail keyword research: what is it? There are ways and means of optimising for longtail terms, which we’ll go into. First, let's define what ‘longtail’ means and how we optimise for these terms. Longtail keywords are, as you might expect, longer than those more commonly searched-for keywords. They’re also far more specific, and often not as commercial. They’re perfect for your business because, while they get less search traffic, they usually have higher conversion value. In the modern SEO world, they're the saving grace of smaller businesses everywhere. Think of it like this: you get greater insight into the nature of the search. Yes, a longtail term might get a lot less search volume than a shortail term (otherwise known as a ‘root’ term), but what you do get is precision. Your magnifying-glass zooms in and spots a pain-point or problem area that your audience needs help with. As you can see from the screenshot above (sourced from Neil Patel's SEO guide), longtail phrases are way more descriptive, and have a higher probability of conversion. One more thing: the longer-tailed term is representative of how we talk, too. You’ve got short-tail keywords on the one hand: abrupt, broad searches that serve you with nearby locations or sponsored ads that are relevant to your search. On the other hand are longtail searches: specific, targeted queries that demonstrate search intent, giving the impression that the searcher wants to find something out. They want to learn more. As you can imagine, this is where content comes in. It has to be done well, though, because the days of shoehorning keywords into the first paragraph of your copy are long gone. Instead, you have to be tactful, commercially-minded, and up-to-date with the latest tools. Keyword Planner is an additional service from AdWords, and it’s part of the advertising platform. It has proved instrumental for SEO as well as for pay-per-click advertising, and with it you can research and analyse lists of keywords. You get insight into monthly search volumes, what the competition is like with regards to PPC advertising (the bidding-wars can get fierce), and the cost per click (CPC). As you can tell, a lot of this has to do with PPC. What we’re interested in is the search volume. Your search can be based on the following: phrase, website, or category. Aside from getting the search volume for one term, you can also get the volumes for alternative terms. This is great for conducting keyword research, as you’ll get a list of related terms that are relevant to your search. Below is a screenshot of what keyword research looks like in Keyword Planner. If you’re optimising a page for bowties, for example, you’ll want to look into some alternative terms. You can see these below (keywords sorted by relevance, not search volume). You can see that from ‘bowtie’ alone, there are numerous other avenues to go down. For this example, the hypothetical site that we’re optimising will need to filter its bow-ties by colour and not just gender. From here, we begin to build sub-categories that have just as much ranking potential as the broader pages. Give the people what they want (which is a broader colour palette for their bow-ties, apparently – but you know what we mean). It also gives you the perfect opportunity to create useful and informative content that has high search volume; bowtie fans will flock to your site in no time at all. Good SEO requires both an analytical mind and the kind of creative thinking that allows you to look at things in a different light, considering each and every alternative. Having the intuition for what your audience wants to know – and backing that up with solid, quantified search volume – is crucial for successful keyword research. Answer the Public is famed within SEO circles, and not just for the bearded Seeker in the chunky rollneck. Answer the Public is a tool that generates longtail keyword searches for you. It’s quite simple, really. You input a ‘root’ keyword, and from it you’re given a varied selection of longtail terms. These are terms that are actually being searched, too, so you can rely on their authenticity. Answer the Public scours search engines for related terms, so it’s not only good for SEO but also for the creative process in general. Once you’ve defined your area of investigation, put your keyword into Answer the Public. For the sake of this example, we’ve gone with ‘trousers’. You can see this demonstrated below. Next, you’ll be given a vast range of results based on various prepositions. Again, you can see this laid out in the screenshot below. The results vary wildly: some relevant, some not so much. At this point, it’s more an art than a science. You’re plumbing the depths of keyword research, unravelling audience trends, trying to get to the bottom of what your audience wants to know. Next, click ‘Download CSV’ to export your longtail terms. With the spreadsheet downloaded, you then copy the terms and paste them into Google’s Keyword Planner. There you have it: your longtail terms, complete with search volume. With this insight, you can create relevant, targeted content that you know people are searching for. There is a caveat to this, though. We mentioned earlier that longtail terms don’t usually get a great deal of search volume, so don’t be disheartened if you’re greeted with meagre volume. That’s not really the name of the game, here. As long as you can demonstrate search volume for your keywords, you’ll be in with a chance of ranking for them. Below you can see how it went down for our ‘trousers’ enquiry. You have the long tail terms on the left, followed by their monthly search volumes and the level of competition they require to rank. In SEO circles, the golden unicorn is an almost mythic beast sought after by each and every SEO (search-engine optimiser) – the formula for longtail success! It generally contains anything from four words and above, and has decent search volume (for a longtail term, anyway). Only the shrewdest, most data-driven keyword research will ever find a golden unicorn. 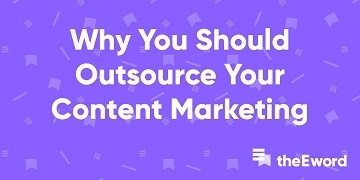 But, once you do, you can create super-relevant content to get ahead of the competition. You are quite literally giving your audience what it wants, facilitating the customer customer journey with fantastic content. Then, you optimise, optimise, and optimise some more. You may even be in with a chance of claiming the top spot in Google’s featured snippets. Just imagine the referral traffic… You can see an example of what it looks like to win a featured snippet for a search term below. Longtail keyword research benefits all who want to create unique and engaging content. Yes, it’s particularly beneficial for smaller outfits, or those optimising for niche areas, but really, we should all take advantage of what the longtail has to offer. More than 70% of all search queries are for longtail terms, and their conversion rates are 2.5 times higher than root keywords, so if it’s not something you currently do, you’re definitely missing out. If you are finding your content marketing strategies lacking, or want to know more about what influencer marketing can do for your business, get in touch. One more thing: if you found this content helpful, share it, and pass the knowledge on by using the social icons below!